MT39P - Vac Resin Lockheed YC121F (USAF)/ R7V-2 (US Navy) Turbo Constellation . 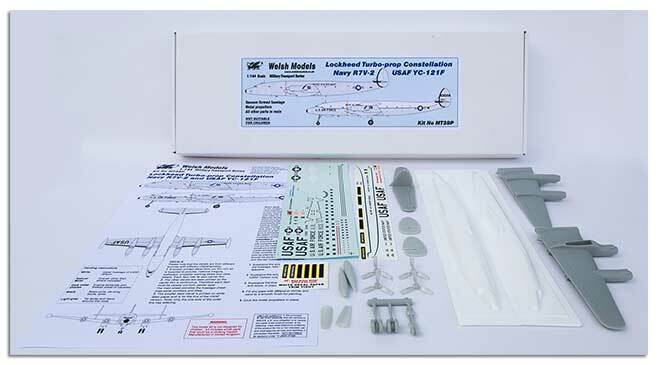 Vac Formed fuselage, Metal Props, all other parts resin. Dual Liveried decals by Liveries Unlimited and Cranc.